Now is not the time to behave yourself - go out there and paint the town! 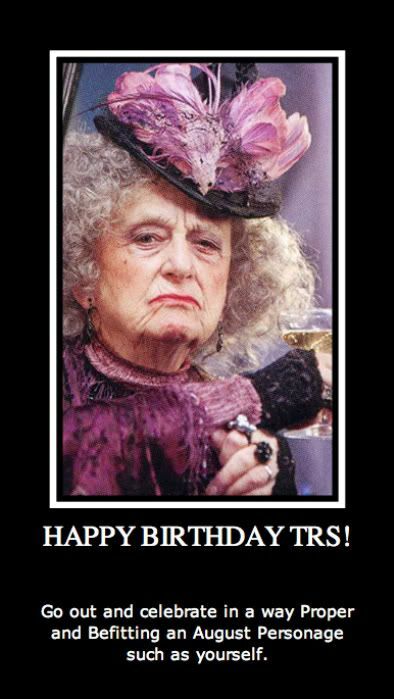 Happiest of Birthdays My Dear TheRealSnape!! Have a glass of bubbly, my dear - before she drinks me out of it.